Ricoh was first established in 1936 in Tokyo, Japan and has since grown into one of the top names when it comes to manufacturers of photocopiers. The company began with manufacturing and selling sensitized paper and then they started as a camera business the following year, it was not until 1955 that Ricoh began in the business machine field by releasing the Ricopy 101. Ricoh now has a global presence and specialises in office printing products with an aim to modernise and optimise a businesses printing production. The company is well known for their reliable and trustworthy products and their high quality customer support services. The Aficio MP5000 is a powerful, high performance and multifunctional photocopier that has the ability to print, copy, scan and fax documents. The MP5000 is simple to use and produces professional results, it also has additional security features to make sure your private account details and sensitive data are protected. You will be able to scan and send colour documents and you can copy documents at a fast pace of 50 copies per minute. The MP5000 has an impressive processing speed of 50 pages per minute for maximum productivity, the photocopier produces prints with a resolution of 600 dpi for crisp and clear results and you can get started in less than half a minute as the MP5000 has a warm up time of 13 seconds and the first output will take 3.5 seconds! You can use B6 – A3 paper sizes and the standard paper input capacity is two 550 sheet paper trays and a 100 sheet bypass tray, you can upgrade this to a maximum of 4,400 sheets. The MP5000 has a standard 768MB of memory and comes with a 40GB hard drive too. The Alticio 5000 is versatile and can be custom-made to suit the unique and specific needs of your business. The features available help to make sure you have everything you need to be one step ahead with professional and efficient office printing. You can scan colour documents and easily use digital means to distribute them via email or saving them to a network folder, this feature helps you to save time and money. You will have a range of professional finishing options more even more impressive booklets, reports and presentation material, the full colour touch control panel makes it easy to operate and access off of the functions – your most frequently used options will appear on the simplified display for even quicker operation. The MP5000 has a range of security features including data encryption, authentication requirements and IP filtering, these are all in place to ensure your business is protected. The MP5000 is also more environmentally friendly as Ricoh uses toxic free materials, energy-saving toner production, paper-saving features and more to ensure the environment is cared for and considered too. The MP5000 model is fast, versatile and produces impressive prints that have a professional finish. It is not only great for any office but also has a commitment to the environmental with it’s more eco-friendly features. This high volume photocopier allows for optimal efficiency and quality combined with simple, stress free operation. The flexibility of being able to customise the model to your exact needs is also an incredibly useful and personal feature. The Aficio MPC2530 is a colour photocopier that offers sharp and high quality colour prints at a speed of 25 prints per minute. This model uses new PxP toner to ensure every print is in perfect colour and is of excellent quality. The MpC2530 is not just a photocopier, it is multi-function with the abilities to copy, print, scan and the option of faxing too. A wide media range means no matter what the job you will be able to do it effectively and with little effort using the MPC2530. You can expect very quick starting speeds with this model as the warm up time is less than twenty five seconds, the first copy takes less than 6.5 seconds to start for monochrome documents and less than 9.5 seconds to start for colour documents and then you can expect 25 prints per minute. The MPC2530 has a standard memory of 512MB, has a standard paper input capacity of two 250 sheet paper trays and one 100 sheet bypass tray – this can be upgraded to a maximum of 1,600 sheets. You can print in both monochrome and colour both at a resolution of 600dpi and the standard MPC2530 comes with SmartDeviceMonitor, image monitor and DeskTopBinder software to make your photocopier easy to use and manage. The MPC2530 is able to print consistently high quality output no matter how long the jobs are, always at a resolution of 600dpi. The printer accepts paper sizes between A3 and A6 including glossy or coated paper and even envelopes or transparencies. You can also do duplex printing without impacting the speed of the machine and you can select your settings using the simple to use icon-based control panel, the black and white and colour prints can even be organised separately electronically for convenience. This is a very flexible printer that can be adapted to suit the needs of your business, and it is even more eco friendly too, the new PxP toner that is used to create magnificent colour prints producing far less carbon oxide emissions that a standard, conventional toner does, making sure the environment is as happy as you are! The Aficio MPC2530 can produce excellent colour prints and help your office to increase productivity and save on costs too. The model can handle an array of media types and can be used for many different job roles, including faxing if you need it! High quality, productive and would fit in any office thank to its compact build and quiet running noise. The MP6002 is a powerful, compact and user-friendly photocopier that goes above and beyond with more features and advanced capabilities. This is a very fast printer can print at speeds of 60, 75 or 90 prints per minute. You can use it for printing, copying and scanning to help make any task simple, achievable and available in one place. 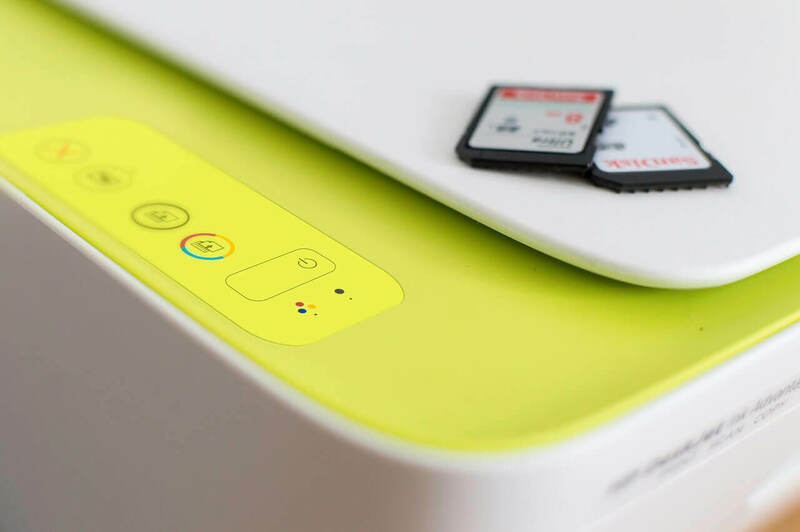 The MP6002 offers impressive 1200dpi resolution for prints that are guaranteed to impress, the memory is 1.5GB but you will also have a 250GB hard drive to ensure you never run out of space. As standard the MP6002 has two 550 sheet paper trays, a 100 sheet bypass tray and dual 1,550 sheet paper trays meaning the combined standard paper capacity of this model is 4,300 sheets meaning you’ll have plenty of paper on hand for even the large jobs. 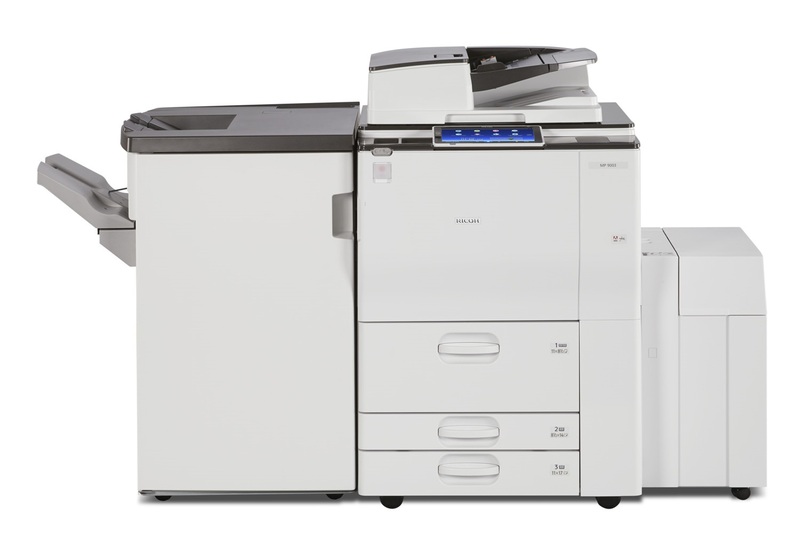 This photocopier is fast, it comes with an automatic document feeder as standard and there are many additional extras you can include to adapt the MP6002 to the specific needs of your business. The MP6002 has an enhanced controller meaning you can have full control over how you work, you can even plug in USB and SD cards directly into the control panel to maximise the ease of use and efficiency. You can customise the homepage of the control panel so that it has your most used settings available straight away, the home screen works using icons which is a system we are all familiar with. A very handy feature on this machine is the ability to schedule print jobs, this is great if you have really large jobs as it enables you to wait until quiet hours to print and therefore reduce network congestion during peak hours. There are also many security features in place to protect your business, these include encryption, authentication and overwriting stored data. 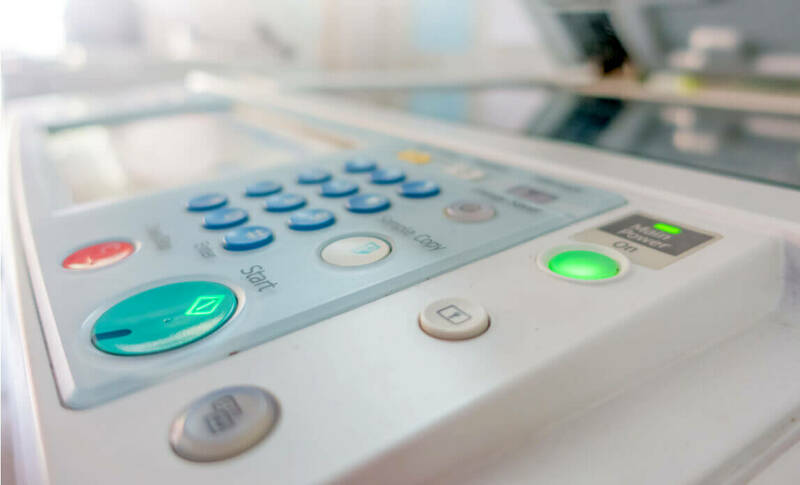 There is an enhanced batch scan mode that allows easy alternating between one and two sided document scanning and to keep track of print numbers you can reset print volume counters automatically. In addition to the features on the machine there is also an app you can download that gives you access to functions that assist with enhancing and streamlining your workflow. The Aficio MP6002 is a sleek, easy to use and customisable photocopier that is multifunction and has a vast range of functions. The end product will be high quality documents that are printed at a fast speed with minimal stress and time taken. The MP6002 is an effective all round printer that will streamline and simplify the workflow in even extremely busy offices. The Aficio range from Ricoh is versatile and flexible giving businesses many options to ensure they find the perfect match for their needs, customisation of the machines is available meaning you can add on the optional extras you require adapting the basic machine just for your business. Ricoh is one of the most popular photocopier companies so you know you will be getting well made and high quality products. Ricoh also has a commitment to the environment which is reflected in their products as each one has features and designs that help to keep environmental impact low. Overall they are fantastic products that will help to increase productivity and save on costs.